The 7th Global Gift Gala - Marbella 2018 will take place on July 29th at the emblematic Gran Meliá Don Pepe Resort. The guest list includes famous artist Gary Dourdan; from CSI Las Vegas. Emma Bunton; one of the Spice Girls group. Alex González; from the tv series 'The Prince' as the new Ambassador Global Gift together with Chenoa and Rosa López. Bravo will celebrate the worldwide charity gala The Global Gift Gala to Marbella for its 7th consecutive edition. The expected day of the event will be on July 29th. The beneficiaries of this edition will be The Eva Longoria Foundation, The Vipingo Village Fund and Global Gift Foundation for their Casa Global Gift project. 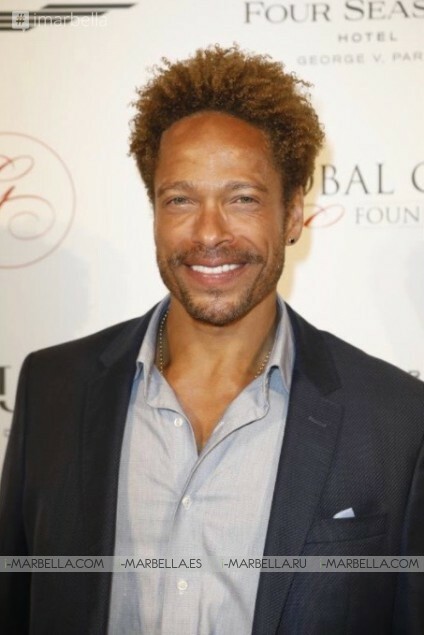 Among the most famous faces, we will have the singer and actor of CSI Las Vegas, Gary Dourdan, who will sing at the gala; We will also be accompanied by Chenoa, ambassador of the foundation, and Rosa López. The singer Emma Bunton of the Spice Girls group and the actor of the series 'The Prince', Alex González, as the new ambassador for Global Gift, in addition to many other personalities. This year we will also celebrate the Global Gift Golf Solidarity Challenge within the Philanthropic Weekend, which will be held on July 28th at Santa Maria Golf & Country Club. That same day, sponsors, celebrities, and Global Gift ambassadors will meet at Casa Global Gift to see first-hand, the refurbishment progress of the Multifunctional Treatment Centre for children with rare and chronic diseases in Marbella, María Bravo´s dream come true. The Philanthropic Weekend culminates on Sunday, July 29th with The Global Gift Gala taking place with Maria Bravo as Chair of the evening with Global Gifters in full support, such as Lorena Bernal and Amaury Nolasco. Global Gift Foundation supports projects of different organizations around the world and has recently launched its own, Casa Global Gift, a multifunctional center for children with rare and chronic diseases that is located in the city of Marbella and that will give shelter to at least 5 non-profit organizations in the area; Adisol (Costa del Sol Diabetic Association), ADAHIMAR (Attention Deficit Disorders), CADI (Neurological & Physical Disabilities), Association Cystic Fibrosis y Bubbles and Dreams (Rare & Undiagnosed Diseases).